How do you MAKE income with Amazon? After you have a great blog established, add some Amazon links. You write about a product on Amazon and add links, or an image, or both coded with your Amazon Associate code. You are advertising for an Amazon product you use, people click to learn more, and if they buy, you earn a commission. Amazon is a great affiliate to use -- they don't pay much but so many people already use Amazon. It's a trusted resource for Online Shopping already. If you want guidance on how to do this, I highly recommend The Selling Family for anything AMAZON. First, you just join as an Amazon Associate here. 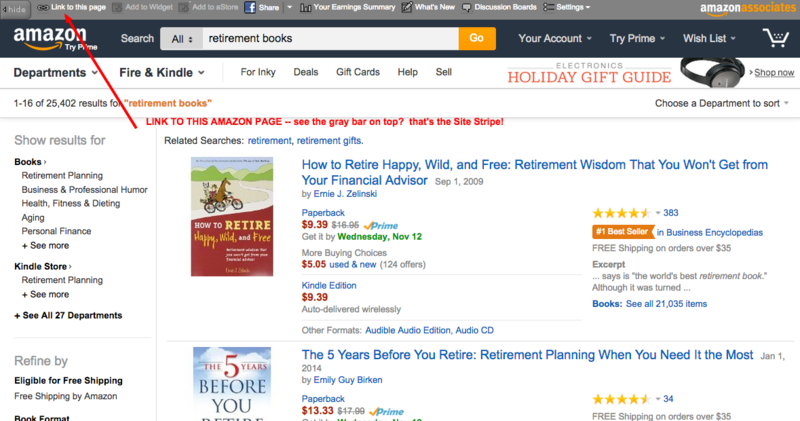 Second, the easiest way to use Amazon on a blog or website is to install the Amazon Stripe. Here is info from the Amazon Affiliate page on what the Amazon Affiliate Stripe is all about. It's easy to install and appears at the top of your Amazon page, automatically. Just find the product you are writing about, click on the Link To Page at the top (see the red arrow) and grab the link! Simple! Copy and paste the code on your blog page, preview to assure it looks nice, and you are good to go. All sales, using your link, are credited to you for 24 hours from the time they clicked. You shouldn't randomly add links and images, of course. They need to apply to the page you are writing and help your readers in some manner. If not, Google will not rank your pages well... beware! NOW -- the big reason to add Amazon links and images to your blog! 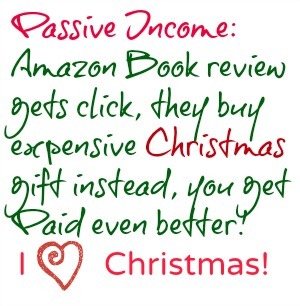 The Christmas Season is so big.... people will click on a book, buy several gifts too, and you earn the affiliate fee on the whole purchase! It's a win-win for them (they got Christmas gifts and you got a commission which does not affect their purchase price at all).